The Brother MFC-7840W is multi-function printer combining the printing, scanning, faxing and copying functions of its predecessor, the Brother MFC-7820N, with wireless networking capabilities. Boasting faster printing and copying functions compared to the already speedy MFC-7820N at still an affordable price range, the MFC-7840W is an edgy upgrade choice among consumers with wireless print, fax, scan and copy needs. The MFC-7840W likely owes its look and design from the MFC-7820N, with heftier and more impressive functions and capabilities. With a 23 page per minute printing rate, the MFC-7840W boasts a 3 page per minute increase over its older counterpart. The printing resolution offers a nice 2400 x 600 dpi, with a standard memory of 32MB. The definitive mark of course, of the MFC-7840W is its wireless 802.11 b/g networking interface, along with USB and Ethernet interfaces. The wireless feature makes for a much easier printing, scanning or faxing, without the hassle of dealing with wires or rushing to and from the multi-function printer. PCL6 and BR-Script 3 through emulation are still supported. 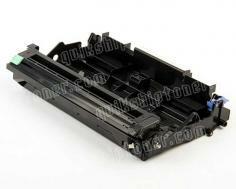 The MFC-7840W also comes in with a secure printing function. Faxing capabilities of the MFC-7840W retains much of its predecessor's qualities, with fax modem speed of 33.6K bps, enabling it to transmit as fast as 2 seconds per page. Fax page memory is at 600, which should be handy when the lines get busy or the printer runs out of ink. Autodial location and broadcasting location numbers are maintained at 208 and 258 locations, respectively. Memory transmission on the other hand is at approximately 2.5 seconds per page. The copy function of the MFC-7840W yields at an improved rate of 23 pages per minute, making the MFC-7840W one of the fastest in its class. Reduction and enlargement capabilities are between 25-400%, with sorting function and stand-alone capability, which means no computer necessary to power the machine's copying function. The 35-page automatic document feeder is also included in the MFC-7840W, making tasks much easier to accomplish, be it copying, faxing or scanning multiple documents. Scanning (monochrome and color) with the MFC-7840W also features an upgrade in terms of its maximum interpolated scan resolution, with up to 19200 x 19200 dots per inch. Input color scan depth is at 48-bit, with optical scan resolution at 600 x 2400 dpi. The MFC-7840W still has the "scan to" feature, with email, image, OCR, file and FTP functions. Power consumption with the MFC-7840W has taken a significant improvement, with only 460 watts consumption when copying. This makes the MFC-7840W one of the most energy-efficient MFPs in the market today. The MFC-7840W comes in at 24.5 lbs, with dimensions measuring 16.9" x 15.6" x 12." The MFC-7840W also comes in with the standard 250-sheet output tray, and a fold-out rear tray that allows easy printing of envelopes and other thick media through its single bypass slot. The MFC-7840W, albeit with much appreciated improvements and upgrades over its predecessors, still has its share of shortcomings and areas for improvement. For instance, the MFC-7840W is still relatively noisy at 53 decibels. Wireless network set up is cumbersome, and might prove to be a challenge, especially for novice users. The MFC-7840W copy quality is also not something to be excited about and can certainly use an upgrade. The scan function of the MFC-7840W also proved to be relatively slow. The duplex printing capability for simultaneous printing on two sides of a paper is also not included. 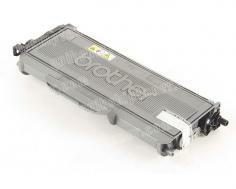 A starter toner cartridge with a lower yield compared to the MFC-7820N is also another letdown of the MFC-7840W. 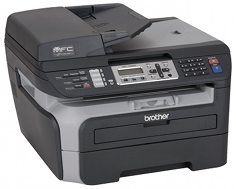 Review it: "Brother MFC-7840W "
The MFC-7840W includes a starter toner cartridge of 1,000 pages for its maximum yield and a drum unit with 12,000 page capacity. A standard toner replacement cartridge with a 2,500-page capacity makes for an inexpensive cost per print value of 5 cents per page. Drum replacement with the same maximum yield value costs around $100, with a maximum monthly cycle of 10,000 pages and 250 to 2,000 pages for a month is recommended.